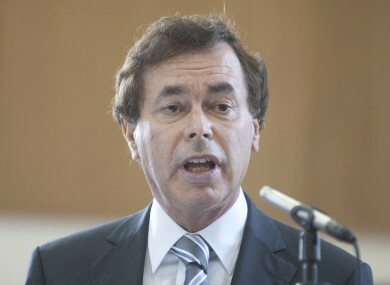 Minister Shatter said that this is due to the new work for the courts as a result of the Personal Insolvency Bill. SPECIALIST JUDGES WILL be appointed to ensure that personal insolvency applications are dealt with speedily, it has been confirmed. Minister for Justice Alan Shatter told Sinn Féin deputy leader Mary Lou McDonald that the special judges will be appointed to deal with the cases which arise under Personal Insolvency legislation. The bill is returning to the Dáil this Wednesday for a final consideration before being sent to the President for signature. The legislation aims to overhaul Ireland’s bankruptcy regime and help struggling mortgage holders out of debt. Minister Shatter told Deputy McDonald that the judges are being introduced in the context of new work for the courts as a result of the Personal Insolvency Bill. “I am introducing amendments to allow for a small new cadre of specialist judges to facilitate the speedy consideration of insolvency applications by the Circuit Court,” he told her. Rather than incurring additional costs to the Exchequer, the Government has decided that eligibility for these new judgeships will be initially confined to serving County Registrars with the necessary legal qualifications and practice experience. The Minister said that this will ensure that the creation of this new cadre of judges will be largely cost neutral as, “if a serving County Registrar is appointed as a Specialist Judge, he or she will not be replaced thus creating the necessary extra judicial resources and maximising the contribution of these existing office holders at very little additional cost”. Under the bill, a person with debts of between €20,000 and €3million can enter a Personal Insolvency Arrangement if they are insolvent. This would mean their debts would be taken over by a trustee who will propose a deal with creditors. If a borrower owes less than €20,000, they would be able to apply for a debt relief certificate, which would see their debts wiped off if they remain unpaid after a three-year ‘freezing period’. Borrowers can also seek a Debt Settlement Arrangement, where they would agree to settle their unsecured debts over a five-year timeframe. Email “Specialist judges to 'speedily' deal with insolvency applications”. Feedback on “Specialist judges to 'speedily' deal with insolvency applications”.